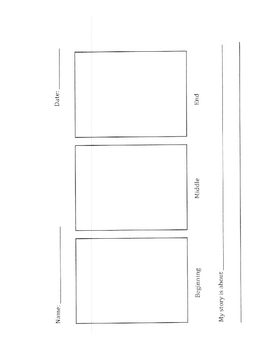 This mini-pack includes story planning pages and a rubric that is designed to help assess your students' writing skills in stories. The planning pages begin with a place to draw a picture and write a single sentence. 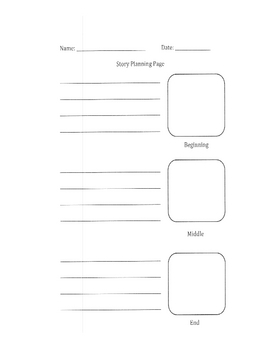 Each page adds more elements and details to the story so you can use the planning tool that is right for each of your students' abilities. 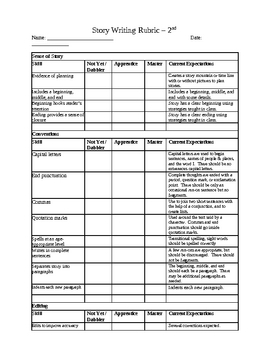 In the rubric, headings have been included for sense of story, conventions, and editing. 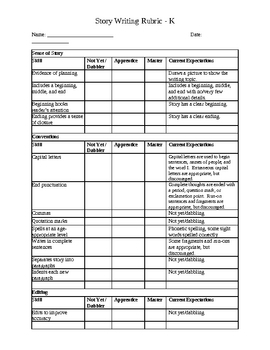 A generic rubric is included, along with rubrics including the current expectations appropriate for kindergarten, first, second, and third grades. I know that my writing rubrics change throughout the year to reflect the skills that have been taught, and I made this easy to adapt to your classroom. Since it is a word document, simply copy and paste the new expectations from another level in my rubric, or even write in your own. I have left a blank line in each section to easily add a skill you have been working on with your students. The levels I used in this rubric are: not yet/dabbler, apprentice, and master. If other terminology fits in better in your classroom, the find and replace feature will easily change all portions of the document to meet your needs.